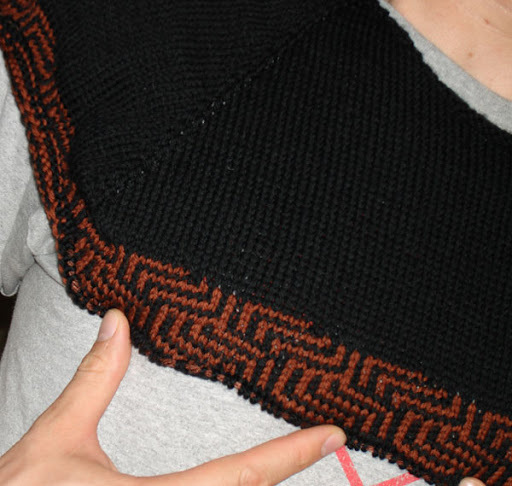 The part I was dreading, the colorwork, was finished this weekend in three sittings. It was much simpler and more enjoyable then I imagined it would be. If it stretches back out during blocking as it’s supposed to, I will be such a happy girl. Every single row had slipped stitches and I *think* I managed not to make things too tight. Next process to dread: blocking. Three more rounds to knit, and I can divide the sleeves from the body. Let the miles of tedious stockinette stitch begin. I may start to question why I thought this was such a good idea in the process. Ha.